As I will no longer be posting progress on Wencombe on the old forum I thought I'd better start a new thread here. As an introduction to the layout I will give a brief rational. I have imagined that a proposed line from roughly Churston on the Kingswear Branch across the R. Dart to Kingsbridge was built, with a junction at Wencombe for Slapton. The track plan was based on C. Freezer's plan Yarlington junc. Salcombe was always on my list of things to do. Not enough GW stuff on here, keep it coming. Nice to see a summary on the new site. I guess I must have missed some posts on the old thread, I hadn't realised you had a location figured out - an interesting scheme. Do you think the line to Kingswear would not have been built if this line had gone ahead? 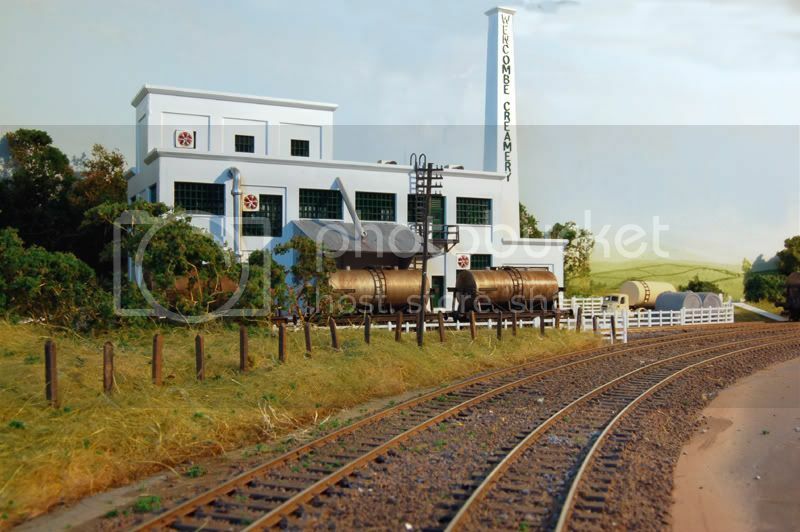 I do like the picture of the creamery - very evocative. Rich, the answer to that is I don't know. I've assumed that since in my version of history Dartmouth and therefore the Naval College has a direct connection to the railway there would have been no need to build to Kingswear. It also enables me as it were to run the a version of the Kingswear timetable with thew torbay express becoming the South Devon Express. I supose I could envisage Kingswear (in my version of history) being rail connected with Kingswear being just a short minor branch. Go on then, could we have an operation guide? How does operation work?. Whats the timetable(real life)? 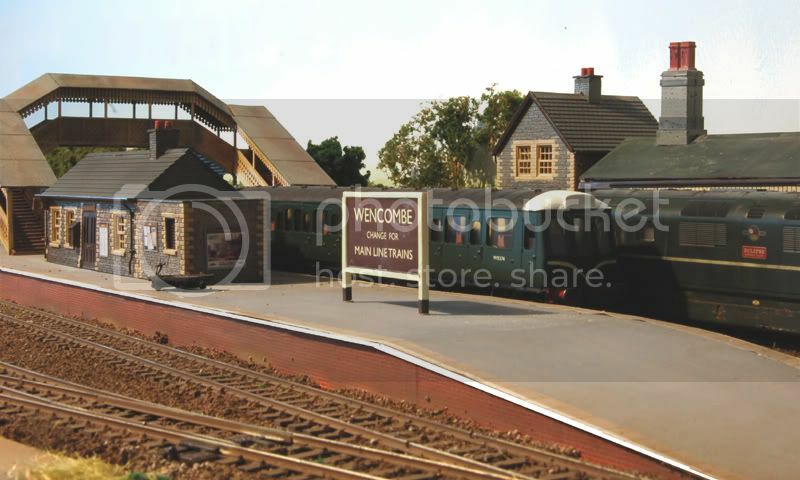 Is the branch loco sub shedded from Newton Abbot or Kingsbridge? Summer Saturday extras? dates etc etc. 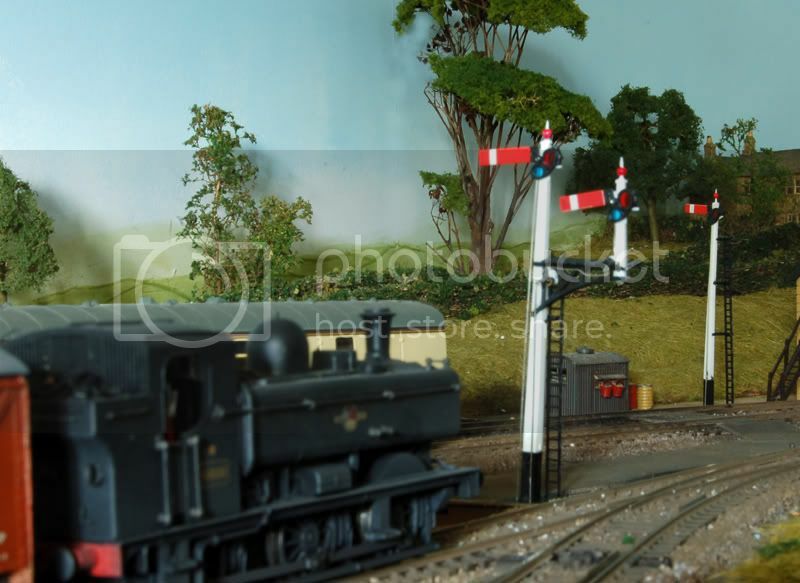 Nice layout, and I agree with the comment about the DMU, I especially like the destination display, can you tell me where you got it from please? Rob the destination board on the DMU was done by myself using Coral Draw which enables you to "draw" in the actual size you want whether it be 7mm or 7metres and will print out at the size you "drew" the sign, therefore no difficulty in trying various sizes when printing. I also used it for the station running in boards. and enables one to print white letters on black. Claggy: As to the timetable it's not fully worked as yet although I do have Operation Torbay and Operation Cornwall by Xpress publishing. 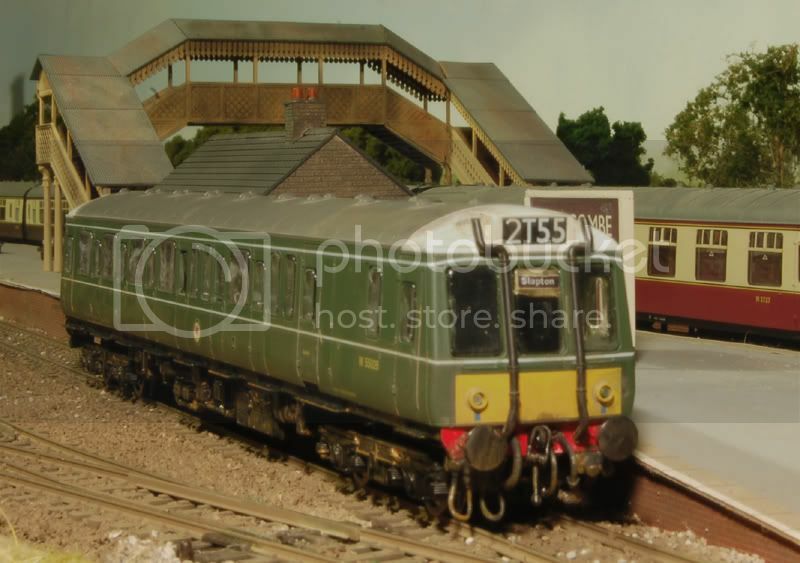 Hopefully get the new Chivers ex GWR Tunny on Sunday at the Spalding show. After being sidetracked by a succesion of Chivers Kits and very good they are I got back to doing my Class120 DMU. Just a couple of pix of the new ballast wagons, painted and Transfered (Cambridge Custom Transfers) but as yet unweathered. Looks like the WR have borrowed a couple of SR ballast wagons. Just thought I'd post a pic of the yard crane I built from a Mikes Model kit I'd had for some years and thought it was time I actually built it. I've modelled it in a semi-derelict state. Nice work there Alan! A very attractive self contained layout and well built! The other wagons, vans actually I suppose, the Fruit D, 6 wheeled fish Van and Pigeon Van have all been painted and weathered are just waiting their final coat of satin varnish ( when I buy some). Wow! A very nice layout you have there! And your scratchbuilt stock looks grand too! Preservation Modeller thank you for your kind comments, but I think the stock you are refering to is not scratchbuilt( far beyond my capabilities) but kit built, from Parkside Dundas and Chivers finelines and some (I don't think there are pix on this site) of Kirk kits and also the Dc kits DMU. As I have said before they are fairly easy to build I would imagine anybody on RMweb could build them, and it is far more satisfying than waiting for a RTR version to be done by Horn/mann/helpal. Splendid layout. I especially like the creamery scene. The pix 1 and 3 are on the left hand side of the track plan (where the road from the Goods Yard meets the main road?!? and pic 2 is on the right hand side of the trackplan at the crossroads next to the pub and the station approach. The actual road signs are Hornby Scaledale.